Aesthetically Pleasing – Wood front doors add curb appeal to your home and are welcoming to guests and customers alike. The warmth of wood adds to its appeal making it pleasing on the eye. 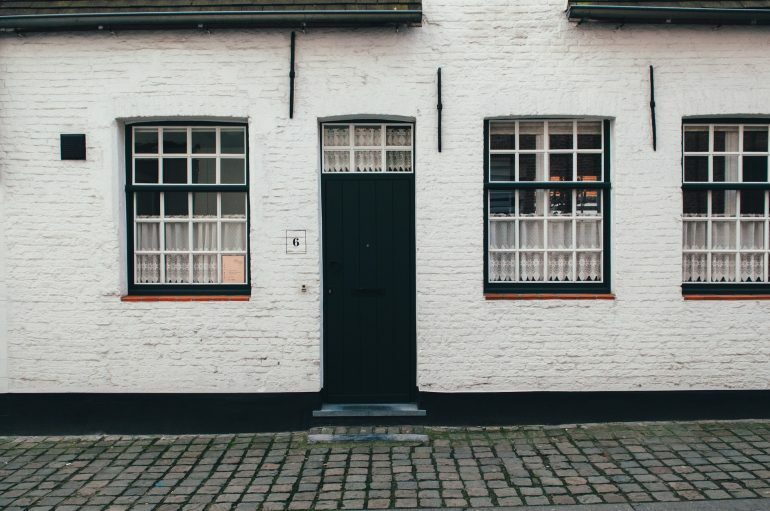 Wooden doors can actually increase the overall value of your home. Versatility – Wood front doors are extremely versatile and they come in a wide range of different wood types, styles and even colors or finishes. Wooden front doors can be solid or have windows to add to their appeal. They can also be plain or as ornate you wish and your home demands. Insulation – A solid wood front door provides insulation for your home, keeping wind, cold and heat from entering through the door. Added Sense of Security – Wood front doors are dense and durable adding to the sense of security people feel when inside their home or business. In order for your wood front door to provide all the benefits listed above, it needs to be properly installed and serviced. 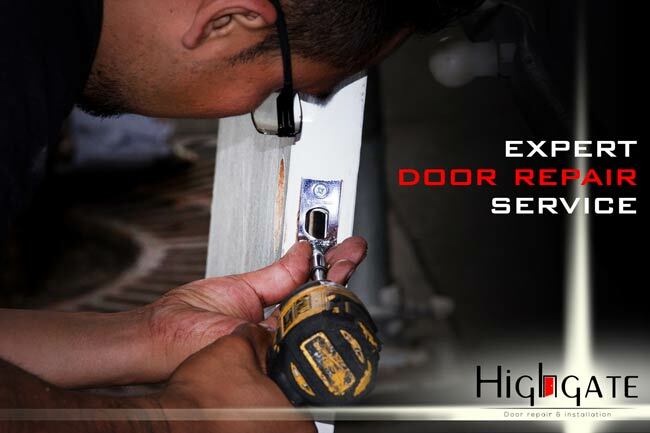 Highgate Door repair and installation can provide you with the professional services you need. Our professional door installers and repair technicians have worked with a variety of different types and styles of wood doors and have the experience to ensure your door looks its best and fits properly. We also offer a wide selection of hardware that will increase the beauty and functionality of your wood door. Should you need our help in selecting the right wooden front door for your home, we would be more than happy to come and take a look at your home and help you find the right door to match the style of your home and add to your home’s overall appearance. find it needs repair, our skilled and experienced repair technicians will be more than happy to come and inspect your door, diagnose the problem and give you a free estimate of how much the repairs to your door will cost. They can also make any necessary repairs including repairs to the door jam or frame. 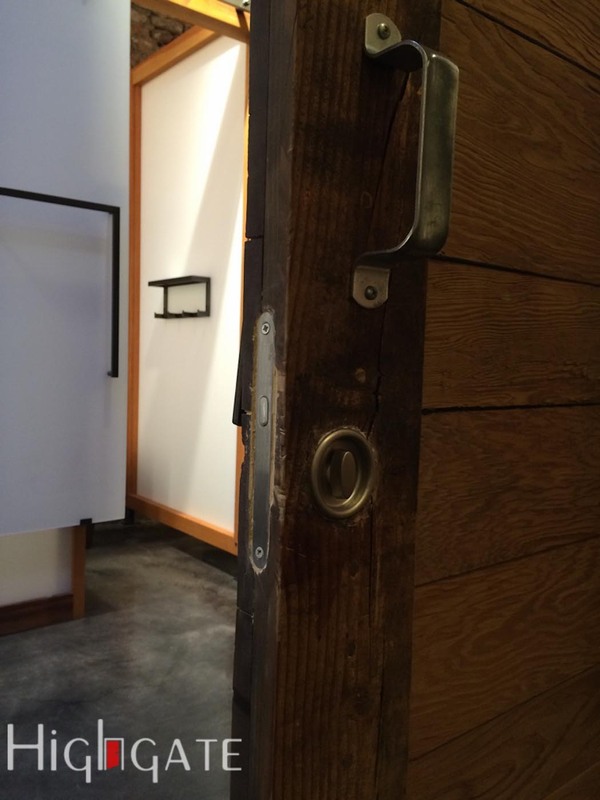 To learn more about our door installation or repair services why not give us a call at (212) 860-5477. We’d be more than happy to be of assistance to you.